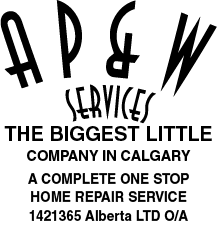 A P & W Services Est 1969 provides all types of home repairs – from simple fixes to lofty projects. Whether you don’t have time to keep up with your repair work, or you just need an extra helping hand, we offer a variety of services to meet all of your needs. We are reliable and we’re careful to provide the most hassle-free experience, because we value your home as if it were our own. We also care for your peace of mind. Give us a call today to discuss your repair needs and schedule a free estimate.